We are pleased to announce that PDG’s Stellar LEAP has received ADP approval and is now eligible for funding in Ontario. Its code code is WM0001532. The Stellar LEAP is the only tilt-in-space wheelchair offering up to 20°of posterior and 30°of anterior tilt in a single product. 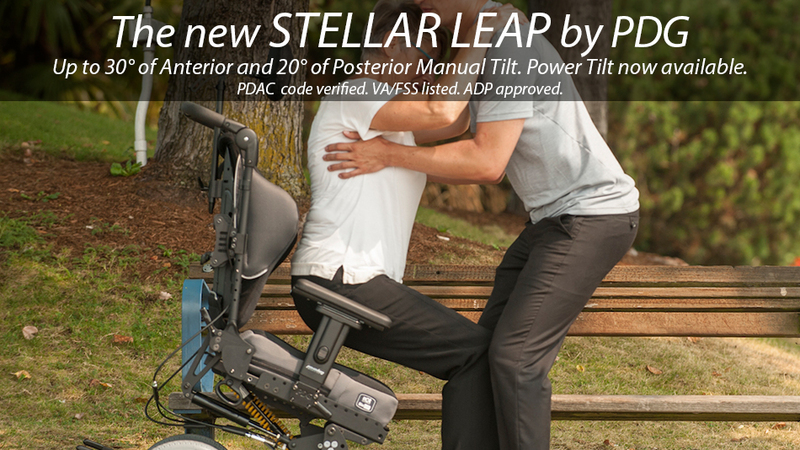 Built upon the robust Stellar frame architecture, the Stellar LEAP retains the benefits of low knee rise during posterior tilt with the addition of an anterior tilt feature designed to enhance user function, positioning, and transfer capability. Click here to find out more about this chair on our website.